I disagree. To my ears, Everything Changes—which has now been released stateside—is not only Julian’s best album but one of the best pop/rock records released in the U.S. this year. The introspective lyrics and richly textured ballads here remind me a little of Andy Pratt’s obscure but brilliant Resolution (from 1976) but even more of John Lennon’s best solo work. Clearly, Julian is not running from his father’s shadow—he even quotes a bit of “Baby, You’re a Rich Man” on one track (“Someday,” which features vocal accompaniment by Steven Tyler). That seems smart; his worldview and voice both seem redolent of John and there’s no point in denying the connection. George Harrison also appears to be an influence as do such late 60s groups as ELO. 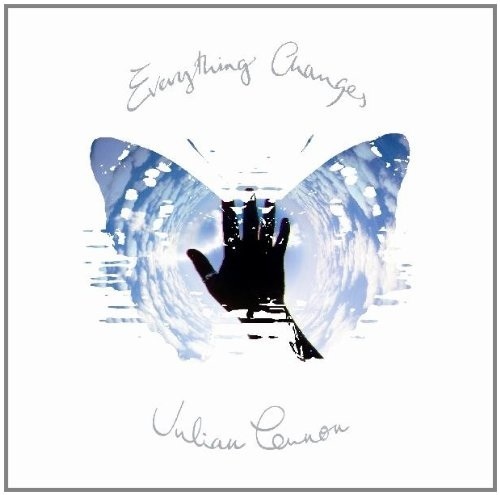 But this passionately performed, emotionally revealing album is more than the sum of its influences; Julian has crafted something new and wonderful here, with strong vocals, addictive melodies and inventive backup. As for “agonizing about how terrible the world is”: yes, there’s some lamenting, but there’s also a hopeful spirit evident throughout the disc. John would have been proud.